Replenix Retinol Plus Smoothing Serum 10x helps minimize the visible signs of aging, renews and smooths the skin and restores moisture balance. Because of the level of moisturization, you won't feel any irritation. Ideal for those with more tolerant skin types. Ideal for those with more tolerant skin. I have been using Retin a for this past winter for my hyperpigmentation and for better skin texture as this is the best treatment, but now, with Summer fast approaching, I had to ask my Dermo for a alternative as Retin A makes your skin hypersensitive to the sun. She recommended this product as the retinol is the equavelent of Rx level, but the high amount green tea and other factors prevent this serum from irritating your face and doesn't make your skin hypersensitive to the sun. You still have to wear SPF, but it is a great alternative until the Fall comes again. I began using this a few months ago and have noticed smoother more even skin. It does help with fine lines, but at 58 fine lines are a bit more pronounced :) I have used this after dermatology procedures for pre-skin cancer (not right away). It has helped reduce healing time and scarring. This is definitely a 10 for Replenix. Please note if you have sensitive skin to start with the lower strength first. Love this product. I had to work up to it. When my dermatologist prescribed it, it made my skin sore, and I couldn't use it on my dry sensitive skin. I started with the 2X and then moved on to the 5X and now I'm using the 10X almost every night. I can use it for 4 or 5 consecutive days before my face becomes sore; then I don't use it for one night, and usually I can go back to it after skipping one day. I graduated to this after starting with 3x and then 5x. I use it once a week and rotate with the other strengths. No major peeling despite the strength, but definitely I can see skin turning over when I look closely. So be aware that it's like super buffered retin a. You will get flakes etc. that's why I alternate! This line is very worthwhile and does what it promises. My skin has never looked better. 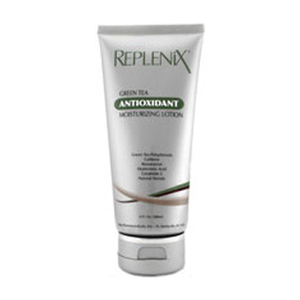 I really like the Replenix products. This Retinol has an interesting texture; a bit gritty but goes on softly and smoothly. Because of the texture, it's hard to tell if I've covered my face enough but it works just fine. I like that it hasn't irritated my skin even though it is a 1.0 concentration of retinol. This is a staple in my skincare regimen. My dermatologist confirmed it is a great product. I need something strong. This is strong but can be used every night. I do rotate it, though, with M2 to get the outer layer off. 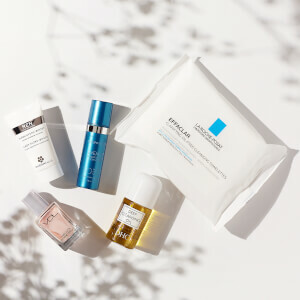 I switched to this product after using a SkinMedica retinol product. In addition to smoothing my skin, it also provides plenty of hydration. If I forget to follow up with moisturizer, no matter. It felt grainy the first few weeks of use, but now goes on smoothly. I have used this product for about 3weeks now and it makes my face feel softer. I am one to break out from new products but not this one! I have been using this nightly for a couple years now. Love the way it makes my face look & feel. I am almost finished with my first purchase of this cream, and just reordered. I am 60 years old, and I spend a lot of time outside. I inherited some youthful skin from my mother, however, 60 is 60, and I have to protect and nourish my skin. The cream was initially irritating, and some tenderness and peeling happened, so I backed off to every other day, but after a few weeks that eased up, and then I noticed how my skin became so smooth, and just glowed in the morning! I am definitely sold on this product!